In January 2008 Diar Consult was approached by a UAE real estate developer to prepare concept design for a mixed use development on a plot in the Meydan master planned community of Dubai. 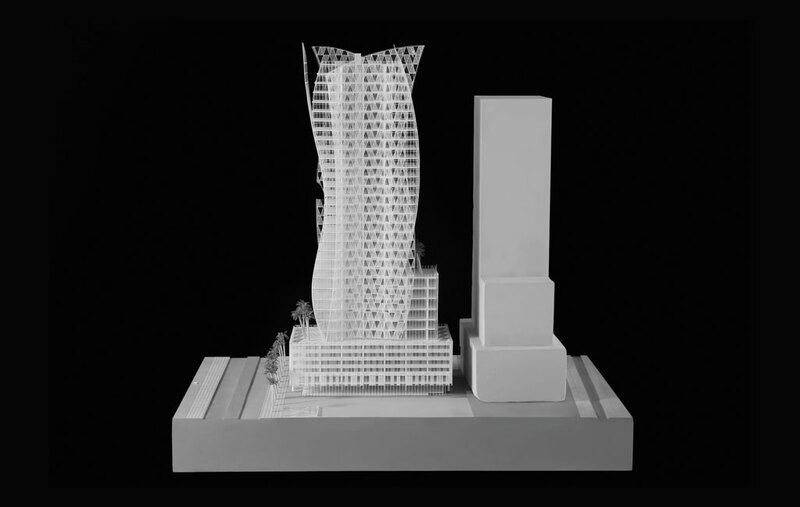 The development comprised a 35 storey tower, primarily for residential use, but also incorporating some retail and office spaces. The design was led by Tange Associates Japan, who presented two contemporary design concepts. Both options are reliant on technologically advanced and intricately designed facade solutions. 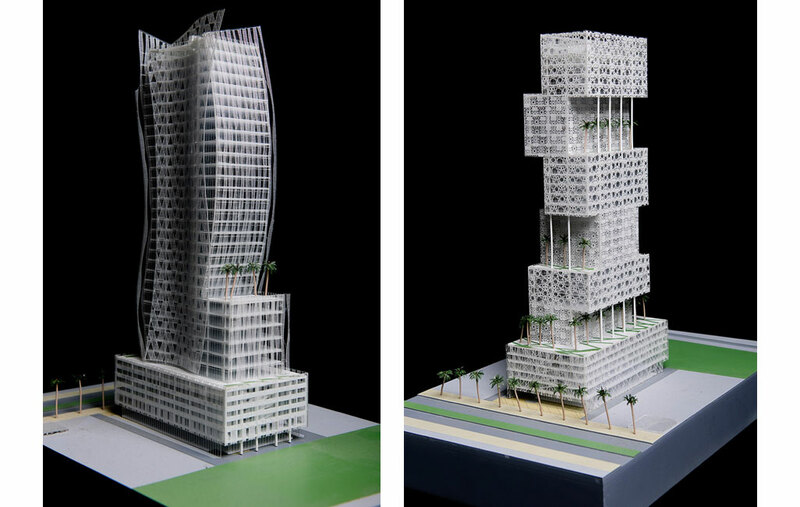 The first option is a geometrically articulated tower with a series of stepped sky gardens created through a shifting of the floor plates. These elevated terraces and gardens are cut out of the facade planes, alternating on all four facades of the tower.